I got Sam Huff and Aaron Ross confused often as both had very similar college trajectories playing for the Texas Longhorns and winning the Jim Thorpe Award in consecutive years so I never realized I didn’t have Aaron in my Longhorn collection. 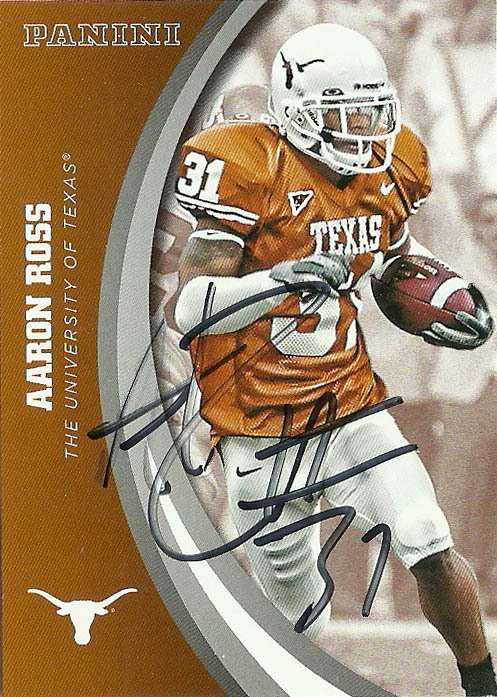 Aaron Ross played for the Texas Longhorns from 2003- 2006, honing his game initially behind future NFL pro Nathan Vasher. He’d also see extensive time on special teams. He’d really come into his own by 2005, recording 46 tackles, 2 tackles for loss, and 3 interceptions for 40 yards as the Longhorns won the National Championship. Ross’ displayed immense vision and speed on put returns with 34 punt returns for 500 yards and 2 TDs. 2006 was a banner year for Ross, as he earned the Jim Thorpe Award, with 57 tackles, 2 tackles for loss, a sack, and 6 interceptions for 7 yards. On punt returns again, Aaron had 23 returns for 240 yards and a TD. Aaron was selected by the New York Giants with the 20th overall pick of the 2007 NFL draft. 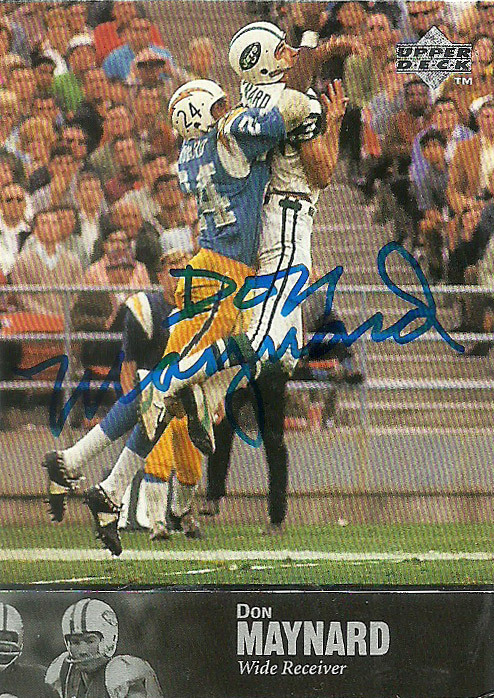 He finished his rookie season with 42 tackles, 2.5 tackles for loss, 1.5 sacks, 3 interceptions for 51 yards, and a 43 yard TD against the New York Jets- culminating in a Super Bowl victory over the Patriots. 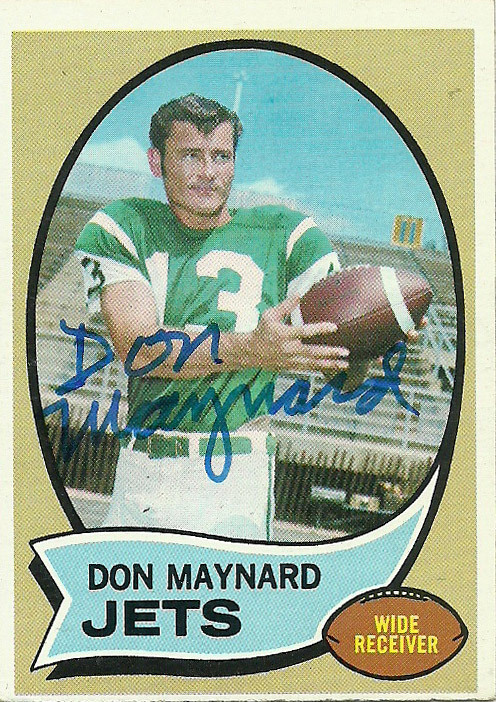 He’d have another solid season in 2008 posting 52 tackles, 3 interceptions for 58 yards and a TD. A hamstring injury pretty much wiped out his 2009 season and when he returned in 2010, Aaron was relegated to the bench. He’d return to the stater role in 2010, earning 60 total tackles, 4 interceptions and 2 fumble recoveries, punctuating the Giants Super Bowl win again over the Patriots. He’d sign with the Jacksonville Jaguars in 2012 and start 9 contets for the team. Ross recorded 46 total tackles, and 3 pass deflections. He’d return to the Giants for 2013, and finish eventually his career with the Ravens in 2014. I really liked the Panini UT set that came out but I was disappointed because they lumped all the sports in there and the breadth of players didn’t seem too deep. 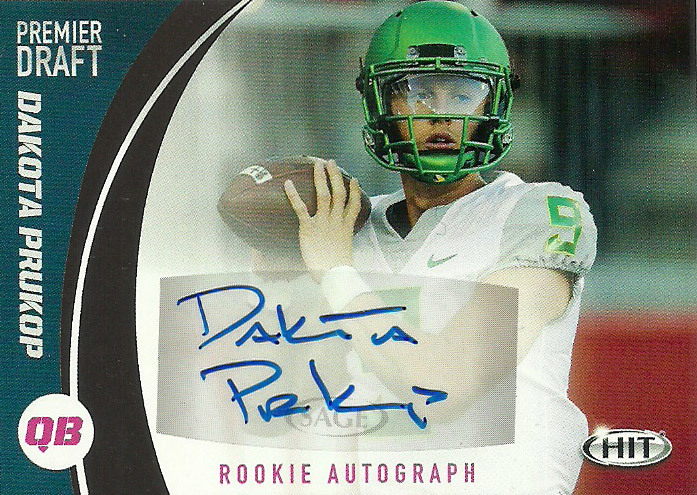 Still the design is pretty good, even if it bears the hallmark shadow posterization that many of the cards of this era have.